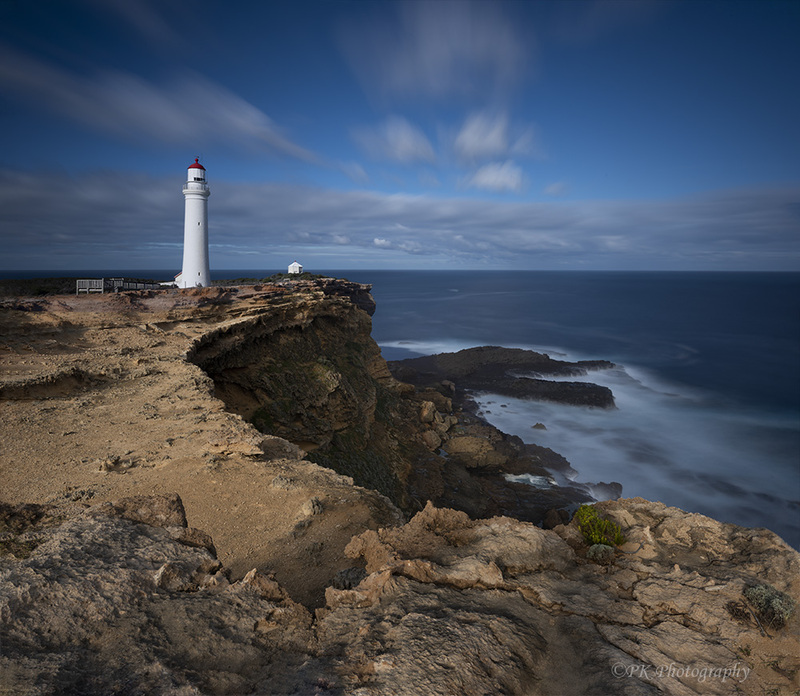 This is another of the historic lighthouses along the rugged coast of Victoria, Australia, and I believe this image shows just how rugged the coastline is. The photgraph sends a chill up my spine when I look at it, but not for the reason you would think. The spot where I stood to take the shot had been deeply eroded underneath by the the sea and this danger became apparent to me only after I walked away and happened to look back. Yikes, at least I lived to tell the tale! It’s rugged and so pretty! I do love a tall lighthouse. That red cap is just lovely. I know what what you mean about the red and white being so pretty. I love the Australian lighthouses and also the red and white ones in Canada with the red maple leaf…so nice. And yes, the most rugged coast in Australia I think. I do love lighthouses! Fabulous shot Pam! A beautiful image of the lighthouse. Glad you didn’t go any further and you were safe! Thank you, Amy! I am more aware now of possible erosion underneath :-). Wow that came out really well. Very much my kinda shot – a beauty well done.